Simply lift and access the nursing utility. 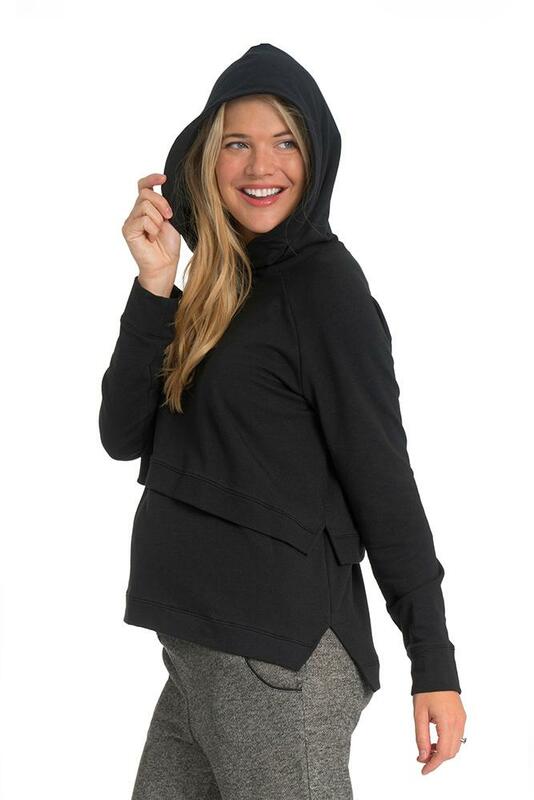 The look itself is so discreet, no one will know this fashion forward and sporty hoodie accommodates your growing belly, and works postpartum for breastfeeding no matter where you are. You can pump, nurse, or just look cool in this hoodie! Loose fit. 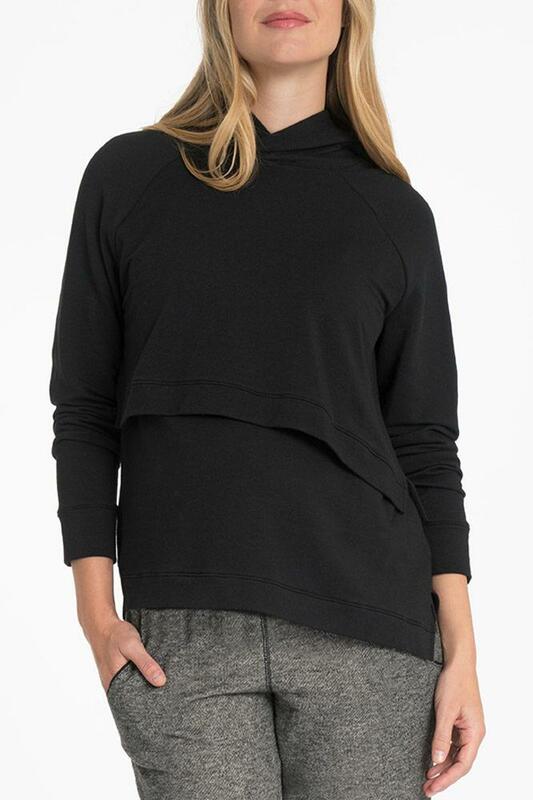 Designed from the same fabric as the signature Cozy Hoodie, you will be making much use out of this comfortable capsule piece. Love it! Love the material and the fit! It’s perfect!